Matt Skole went 2-for-3 with a single, a home run, a walk and two runs scored in Monday's 9-6 loss to the Indians. 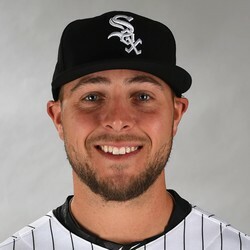 Skole was called up when Matt Davidson went on the 10-day DL. The 28-year-old first baseman has hit well in the minors but it has taken him seven years to make the majors. Skole looks to have a short window of playing time and he is probably only worth an add in deep AL-only fantasy leagues.